Put God on Your Buddy List.Finding God in the universe of computers and cell phones isn’t as easy as googling his name, but he’s there all the same. And what girl wouldn’t want him with her as she tries to make her way through a galaxy of emails, text messages, IMs, chat rooms—and middle school relationships? 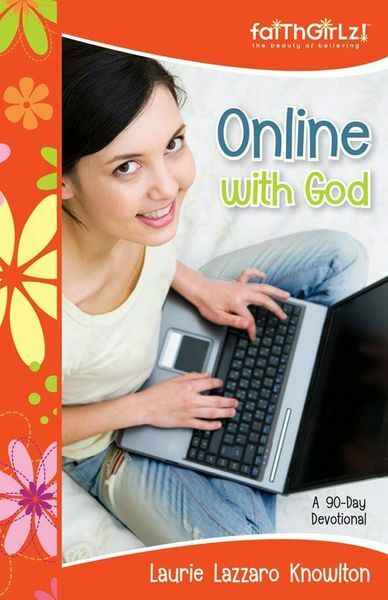 Written as a girl’s personal blog to God, Online with God teaches you how to stay safe while using today’s technology. This ninety-day devotional contains relevantScripture verses, tips on making safe choices, and prayers for all the confusing times in your life. As you read it, you’ll realize that God listens when you blog as well as when you pray. After all, he’s the Lord of the universe—including cyberspace.